Wakayama prefecture might have a “fair chance” if the host sites for a casino resort in Japan are chosen based on balanced proposals, says a press release issued on behalf of the prefectural government. Wakayama wishes to bid to the national government to host one of the initial three casino licences allowed in the first phase of Japan’s casino industry liberalisation. Several cities and prefectures in Japan have indicated interest in contending to host a casino resort. Hokkaido prefecture, Chiba City, Tokyo, and Yokohama City, respectively have said such moves are under consideration, according to a poll coordinated by the Office of Integrated Resort Regime Promotion. 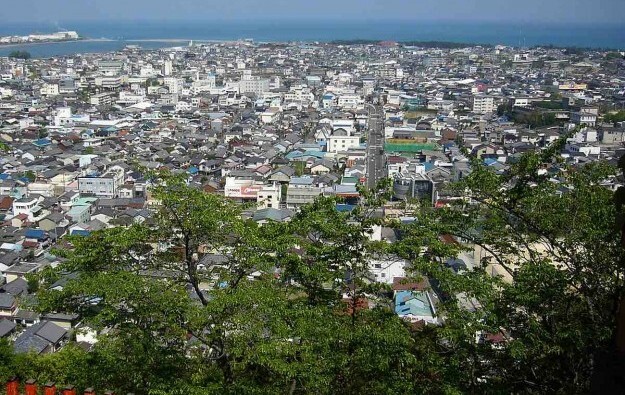 Osaka City, Wakayama prefecture (pictured) and Nagasaki prefecture said respectively they would “try to host an integrated resort”. Wakayama ran a request-for-information (RFI) process in 2018, which attracted submissions from seven casino operators, according to a release issued on Thursday by communications firm Hogo Digital. A briefing that included discussions on the development of integrated resorts was recently held by Japan’s national government. In that meeting – which saw members of the Cabinet Office Secretariat in attendance – Japanese officials reiterated that all prefecture-level administrations wishing to make an application to host a casino resort “would be considered”, according to the information in the Hogo Digital press release. The final decisions would be based on the “balance of the locations” with the winners being those schemes that “ultimately result in advancing Japan’s place as a leader in international tourism,” said the document. Wakayama prefecture said it had been given assurances by the Japanese central government that the area’s proximity to Osaka would not count against it in the contest for a Japanese casino licence. Both are in the populous Kansai region. Wakayama has previously stated that its proximity to Osaka – and vice versa – would work to “complement” respective schemes put forward to national government. “Considering the population of the Kansai region in general as well as the placement of Kansai International Airport, we feel we can create synergy and an even greater economic benefit between the two destinations should integrated resorts be allowed in both Osaka and Wakayama,” said a statement from the Wakayama prefectural government included in Thursday’s release.